I took this shot whilst waiting to capture another night scene. I like it because it seems mysterious and seems like something awesome is happening in the galaxy in full view of us. And it is happening. 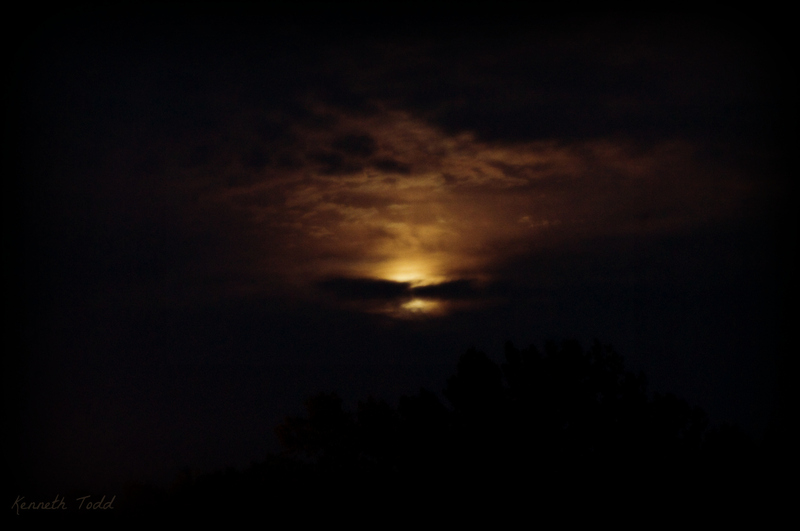 the Moon, she is arising and bathed in the sunlight, is masked by these low clouds. It was beautiful. I add a soft focus to make it less clear and a little more mysterious. You can see the faint outline of the tree line in the foreground. Beautiful photo! And I think you’re right … something IS happening in our galaxy.